they’re looking out, look out! they’re watching out, watch out! The Libraries efforts in the field of human rights continue to flourish. The Human Rights Documentation Initiative (HRDI) has announced a new partnership with human rights video advocacy organization WITNESS to preserve and provide access to raw video footage of human rights abuses and video productions collected from the organization’s partners. WITNESS was co-founded in 1992 by musician and activist Peter Gabriel with Human Rights First and the Reebok Human Rights Foundation to provide support to grassroots advocacy through the use of video as an integrated tool in human rights campaigns. This is the sixth partnership in which the HRDI has become involved. 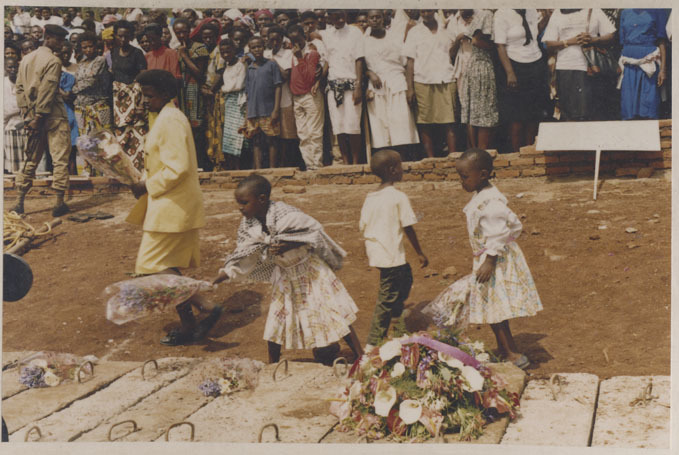 Other projects include work with the the Kigali Genocide Memorial Centre in Rwanda, the Guatemalan National Police Archive, the Texas After Violence Project, Free Burma Rangers and the Museo de la Palabra y la Imagen. As seen by the recent successes and widespread use of video by citizen journalists in the uprisings of the Arab Spring, the growth of civic media to fight injustice will continue apace. You can see the full press release on the new collaboration here. We’re big fans of tech/culture blog bOING bOING here at the Libraries, so we were extra happy to discover that author and blog editor Cory Doctorow has picked up on some of the important work we do. Thanks to a submission from forensic human rights statistician Patrick Ball, Doctorow gave a heads up to bOING bOING readers about the Human Rights Documentation Initiative’s work on the digital archive of the Guatemalan National Police Historical Archive (AHPN). Thanks to Ball and Doctorow for helping to raise awareness about this important archive.